Login to your Driver App via Grab Identity and enjoy many new features coming soon! 1. What is your Grab Identity? 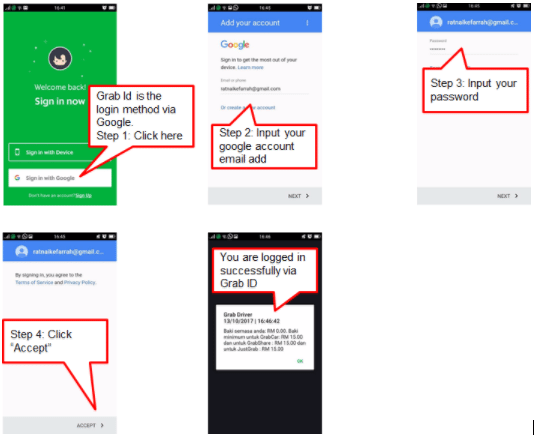 Your Grab Identity (GrabID) is the Google email address you provided to us when you signed up as Grab Partner. With this email address together with your account password, you can log in to the Grab driver app. 2. Why should I log in via GrabID? I am already able to use my phone IMEI to log in. We will be releasing new features soon exclusively for Partners on GrabID. Also, the security of your Grab driver app will be enhanced further as GrabID requires both a valid Google email address plus a password (known only to you). It is important that you secure your personal details and your credit wallet to prevent unauthorised access. Please also note that we will be disabling access to the Grab driver app via phone IMEI in phases starting 20 November 2017. 3. I have a Google email address which I had submitted to Grab. I would like to start using it to access my Grab@iq driver app but I have forgotten my password. What can I do? A: Go to the Google website here. B: Input your Google email address and click on the “Forgot password?” link. Then trigger the verification code to your mobile number by clicking “Send text message”. C: Input the verification code received on your mobile in the relevant field and proceed to change your password. Your new password MUST NOT follow your email pattern. You may adopt a combination of capital, small letters, numbers, symbols but avoid names, birth dates, repetitive string of characters etc. 4. 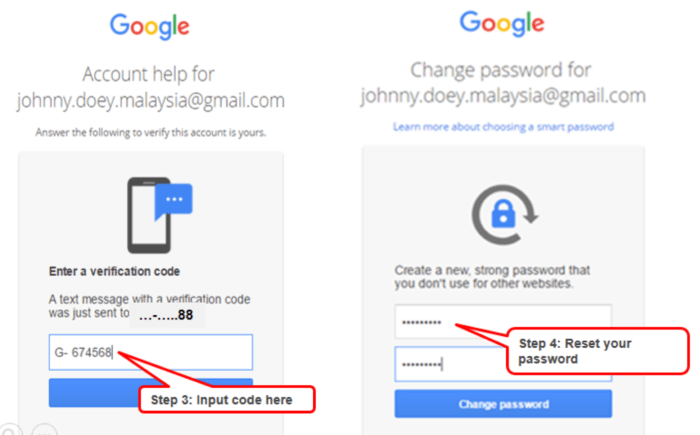 I have a Google email address which I had submitted to Grab and I am not able to recover my password using the steps outline in no. 3 What can I do? You will need to set up a new Google email address. A: Go to the website here. B: Complete the required details in full. The user name may be a combination of names (e.g. first-name.last-name@gmail.com or last-name.first-name@gmail.com). Adopt a strong password avoiding names, birth dates, repetitive string of characters etc. Click “Next Step” to complete. C: Once you have created it, please contact our Support Hotline (6655 0005) so that we can update our systems and you can start accessing your Grab driver app via GrabID. 5. I do not have a Google email address. What can I do? You will need to set up a new account. Refer to the steps outlined in 4 above. 6.May I access GrabID via a Hotmail, Aol, Exchange, Outlook, etc.? No, they will not work on GrabID. You will need to set up a new Google email address. Refer to steps outlined in 4 above. 7. 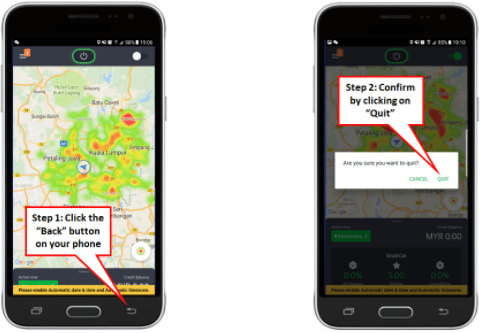 Can I choose to opt out from GrabID? We are continuously developing new products and features which will released exclusively for drivers on GrabID and we want you to enjoy them to improve your driving experience! Also, we will be disabling access to the Grab driver app via phone IMEI shortly. Hence, we encourage you to adopt GrabID to ensure you continue to receive jobs from us. 8. I am already signed on to my Grab driver app via IMEI. How do I sign out in order to login via GrabID? You can follow the 2 steps below and you will be logged out from the Grab Driver app. 9. How do I sign into my Grab driver app via GrabID? You can follow the 4 steps below and you will be logged in on the Grab Driver app.